Substantive law deals with the actual laws in a particular legal category, such as contract law, property law, corporate law, etc. Substantive law defines the rights and remedies of particular laws within a case. In contrast, procedural law defines the rules that must be followed in order to successfully try a case. An example will really help to clarify how this works. Assume you sign a contract with a company to put a new roof on your house. The roofing company tears off all the old shingles on your house and strips your roof down to its "bare bones." The roofing company then fails to place any tarp over the roof and fails to come back to your house for over 2 weeks. In the interim it rains very badly and your entire house is ruined by the rain. 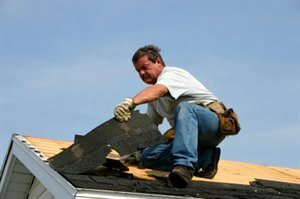 You now have a breach of contract claim and damages action against the roofing company. To be successful you’ll have to prove the substantive issues of your claims, including (i) that there was an enforceable contract, (ii) the defendant roofing company failed to comply with the terms of the contract, (iii) the defendant breached the contract, and (iv) you are entitled to damages for the breach. All these issues are part of the substantive law of the case – i.e. the actual legal rights and duties you need to prove. In contrast, the procedural law of this case deals with how you must file the case, the time in which you must file the case (which must be within a certain time frame called the statute of limitations), how you must notify the defendant roofing company about your complaint so it knows you’ve filed a lawsuit against it (called service of process), etc. So, as you can see, you must prove the substantive issues and follow the procedural rules of your case in order to successfully try a case. The substantive law and procedural law therefore go hand-in-hand. Please read procedural law for further details.